Fisdap testing takes your students from admission to graduation and ensures students' preparedness the entire way. 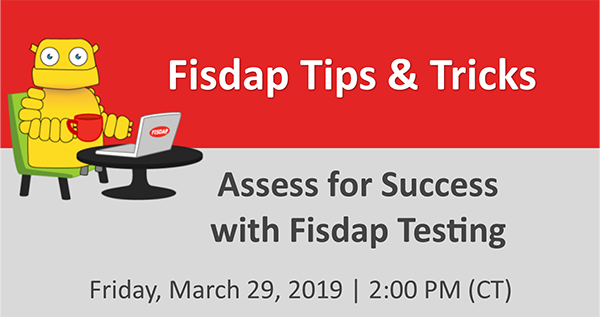 With the end of the semester right around the corner and big tests coming up, we will take a deep dive into Fisdap testing. All Fisdap exams are valid, secure, reliable, and predictive of NREMT success. Over 97% of students who pass our secure comprehensive exams pass the NREMT on the first attempt. Enter skills and patient care information on the Fisdap Mobile App (with or without an internet connection)! Attending NAEMSE? Join us at the Fisdap User Meeting. Witness the Power of the NAEMSE Trading Post! Take a look inside the free Fisdap app for your mobile device. Thinking about taking a NAEMSE EMS Educator Course? Instructor courses are offered frequently all over the country.